Video Library offers exclusive service in helping media work for libraries and schools. They even offer heavy discounts on various educational DVD titles. 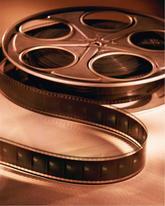 The company offers an exclusive range of latest 120 titles of DVD in order to meet teaching requirements. Apart from this, they also sell innumerable interactive media - notable among them is the latest 'Classroom Jeopardy', an interactive quiz show. It supports various video clips with clues, images and even audio. The company offers exclusive price on the DVD of The Science of Disney Imagineering of 11 volumes. They even offer latest package of Safari Montage having more than 2,311 videos. The latest item by the company is Digital Curriculum Presenter that comes in handy to simplify the process of presenting classroom lessons. There are currently 0 consumer reviews about Video Library available. Share your review. Please take a note that you are about to post a public review about Video Library corporate office on CorporateOffice.com. This review will be public, so please do not post any of your personal information on this website. If you would like to contact the corporate offices of Video Library, please use their contact information such as their phone number, website, and address listed above to contact them. However, sometimes staff from Video Library headquarters do read the reviews on this website.